Envelopes has certainly taken a very long, deliberated time to come out with their follow-up LP to Demon. They've only released a single with the promise of an album sometime in the near future. The one plus to this situation is that the group's getting some cool remixes done. Apparently Hot Chip's got something in store for the Swedish quintet. 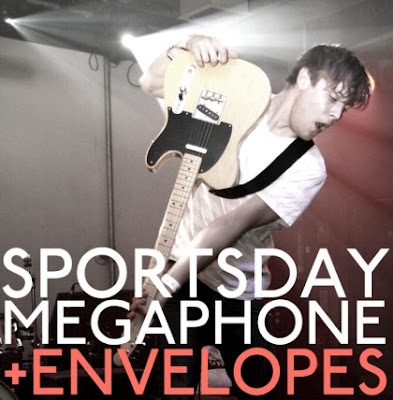 Sportsday Megaphone, a noise-y, robotic, clearly-influenced-by-DEVO little London pop outfit, just gave "Party" the remix treatment, and it's pretty friggin' awesome. It's like the fun house rendition of Envelopes ... warped vocals, stretched and pulled, hokey added synth lines, a pulsing dinky 80s beat, and an overall fun and energetic disposition. Grab the track below. It will hopefully be released as a b-side on some Envelopes 10" that'll come out whenever. Gah, I'm quickly loosing interesting in those guys ... make something official!